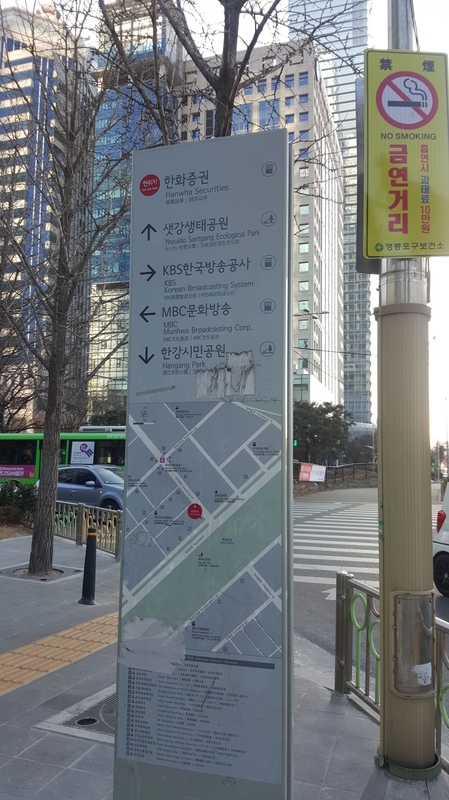 Leave a Comment on Fancy a walk around Yeouido to visit Korean broadcasting stations (KBS, MBC)? 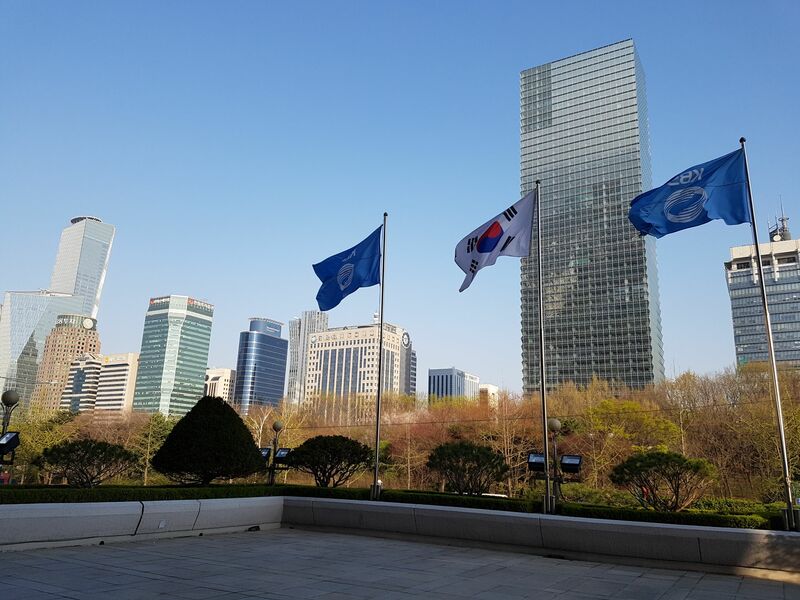 Since today is the 31st of December and most of the Korean broadcasting stations have already had or will be holding their year-ending awards ceremonies, I thought it would be an opportune time to publish this post on doing a walking tour of Yeouido. 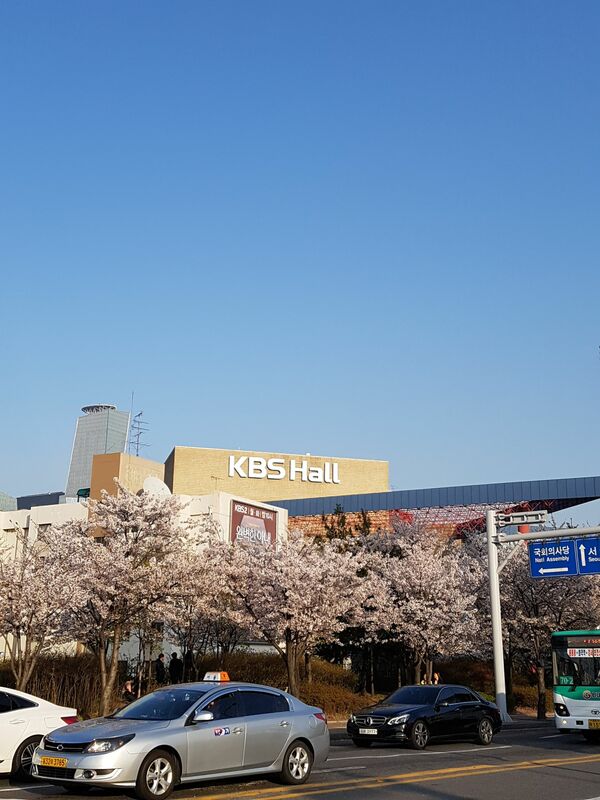 If you are a big fan of K-variety shows like I am, then I highly recommend you consider visiting Yeouido as you’ll get to see various places where variety shows on each of the major broadcasting stations (KBS, SBS, MBC) have filmed. 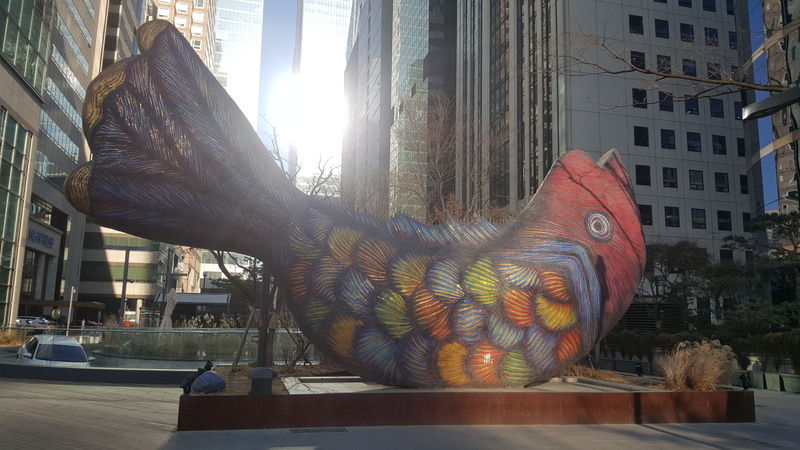 Like this enormous fish art sculpture in the Yeouido financial district. (Which made a brief appearance in Running Man.) But I’m getting ahead of myself here. Where is Yeouido and how do you get there? 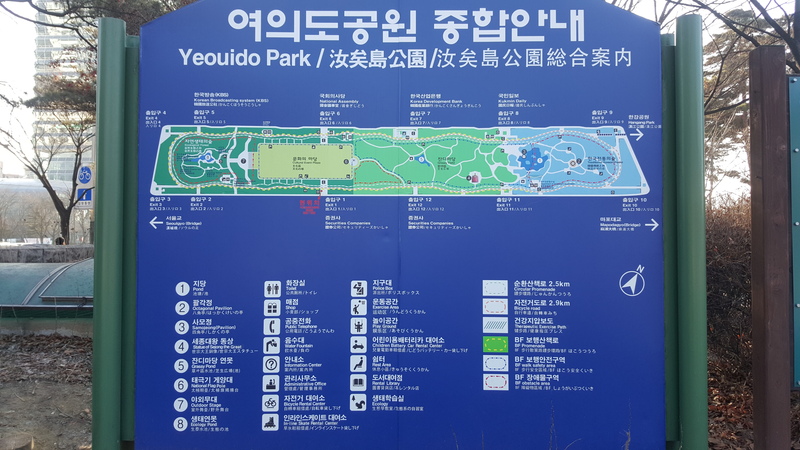 Yeouido is an island on the Han River, mostly connected to the southern part and home to the financial district as well as several places of tourist interest like Yeouido Park and the National Assembly of South Korea. I usually ride the subway to Yeouido station on Line 5 & 9. You can also get off at the National Assembly station on Line 9 as well. Fret not that you’ll get lost as there are helpful signs like this one to point you in the right direction. There are two subway stations that you can take to get to KBS – either the National Assembly station (Exit 4) or the Yeouido station (Exit 2). 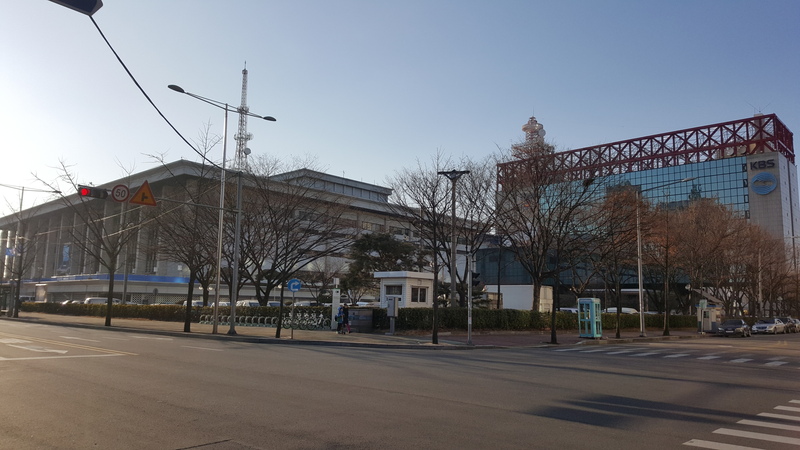 I usually alight at Yeouido simply because of the direction I’m coming from – it’s easier to get onto that line from Myeongdong – however the National Assembly station is nearer in terms of distance. 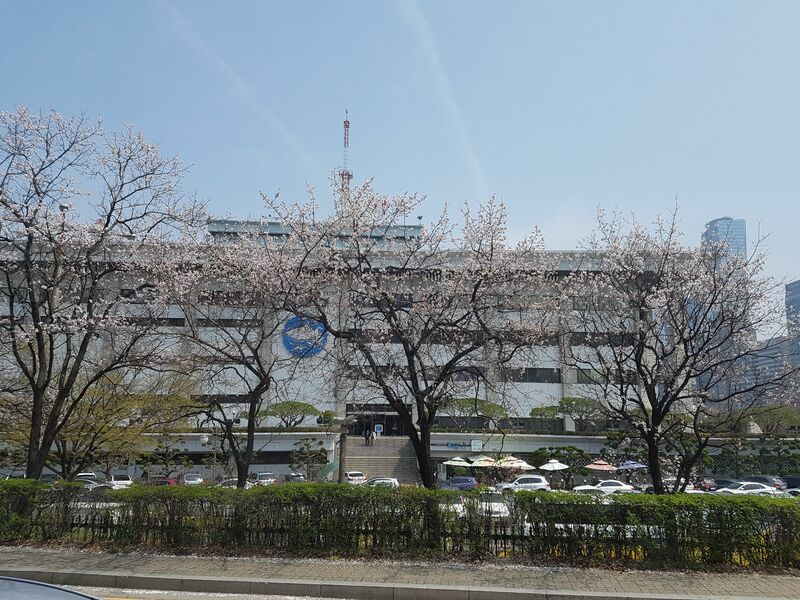 Yeouido in springtime is covered with cherry blossoms, even in such random places as the KBS parking lot. Plus, the weather in spring is refreshing and perfect for walking. If you look closely at the picture above, you’ll see that KBS is located right next to Exit 5 of the Yeouido Park, but I’d suggest you cut through the park instead of going around – the open space in the center of Yeouido Park is where they filmed one of the most iconic chase scenes from Infinite Challenge and also featured before in Running Man (with 2NE1, episode 156). 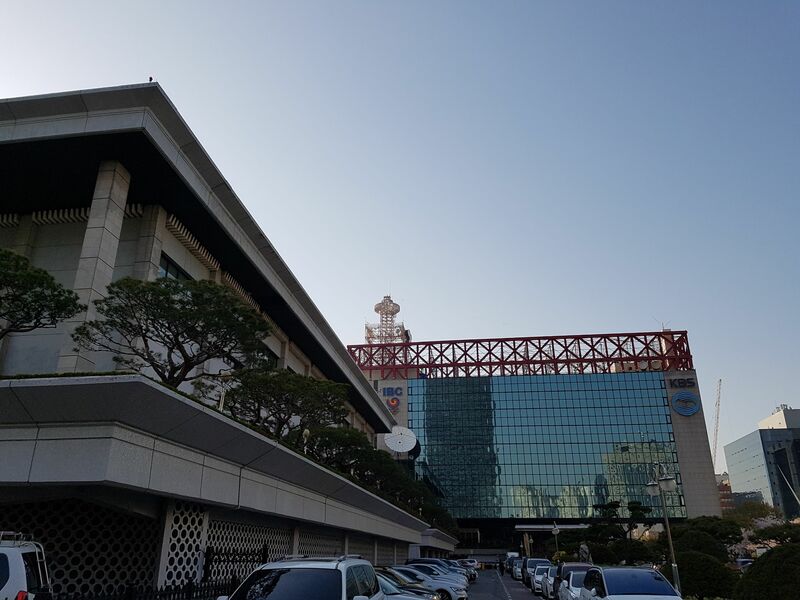 If you came via the Yeouido park, this is your first sight of KBS Building, which would be familiar to many viewers of 2 Days 1 Night. Where the KBS staff park – there are a lot of staff vehicles to be seen here too, the kind that film crew use to follow the celebrities around. 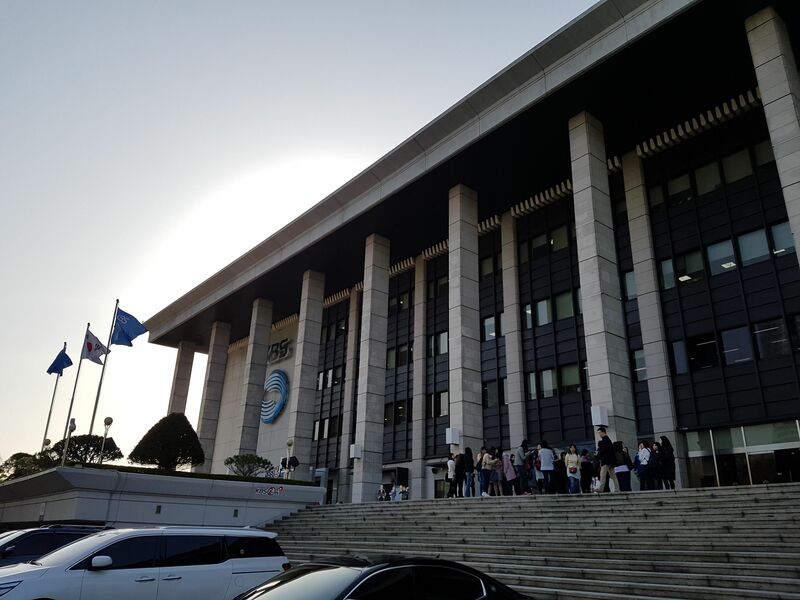 If no filming is going on, you’ll actually get to go right up to the entrance of KBS. If you’ve watched KBS variety shows (2 Days 1 Night comes to mind) you’ll recognise these iconic steps as being the place where they’ve filmed numerous opening scenes. 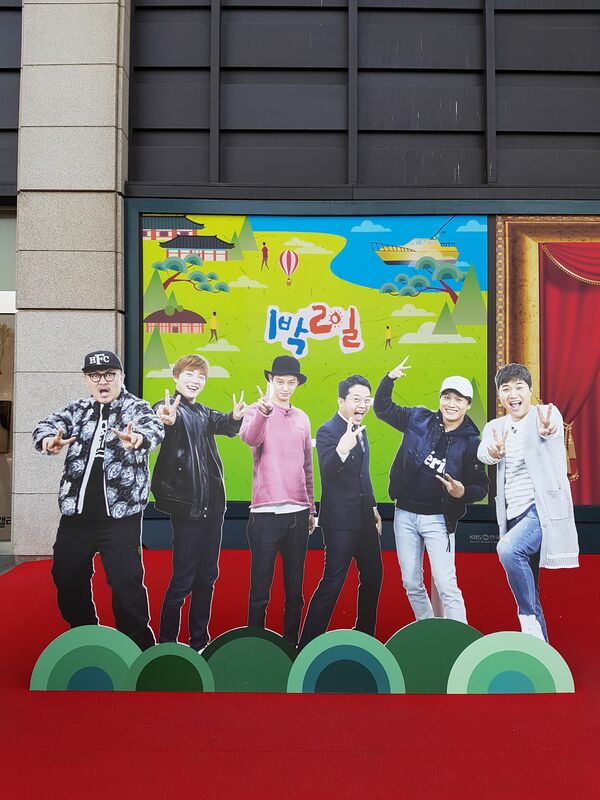 Yup, KBS even acknowledges the popularity of this long running variety show with a life-sized cardboard standee of the current season’s cast members – Defconn, Yoon Siyoon, Jung Joonyoung, Kim Junho, Cha Taehyun and Kim Jongmin (and not forgetting the late Kim Joohyuk). 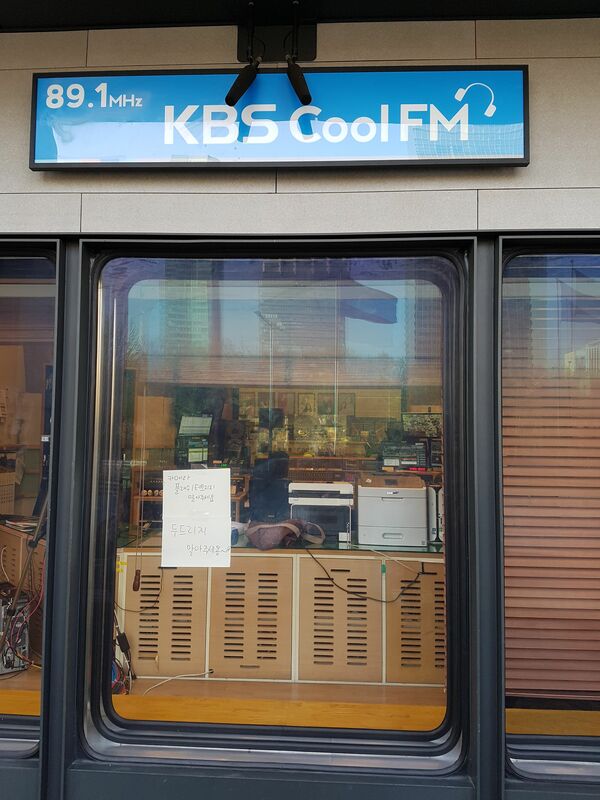 There’s even a viewing window where you can watch the KBS radio DJs at work as they host their hourly shows. Park Myungsoo (well known for Infinite Challenge on MBC) is one of their DJs too. 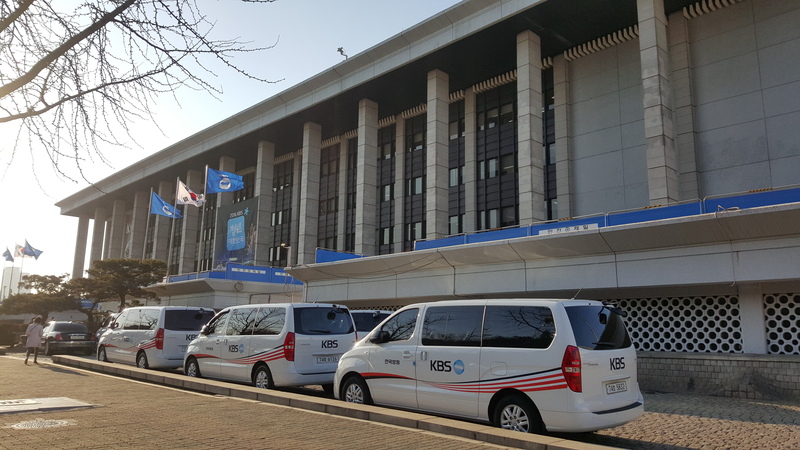 If you have the time and the inclination to do so, you can also visit KBS ON, which is KBS’ in-house exhibition hall that gives visitors a glimpse into the broadcasting world. View from KBS looking out towards Yeouido Park and the financial district buildings. A last parting look at KBS Hall before we head over to MBC. Just to note, MBC is not next to KBS on Yeouido. In fact, it is at least 1km distance apart and certainly felt much further when I was there in winter time! 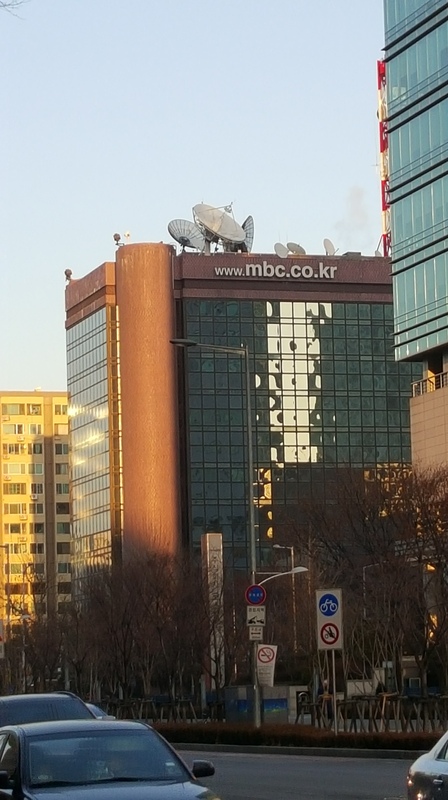 MBC is located between the Yeouido and Yeouinaru stations on Line 5. 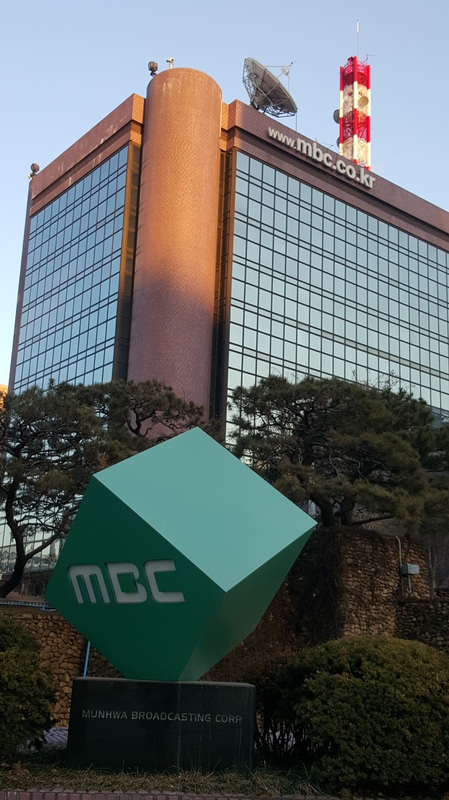 MBC is located at the more residential side of Yeouido and I walked past many low rise apartment buildings to get there. It certainly has a different feel from the KBS side of town. 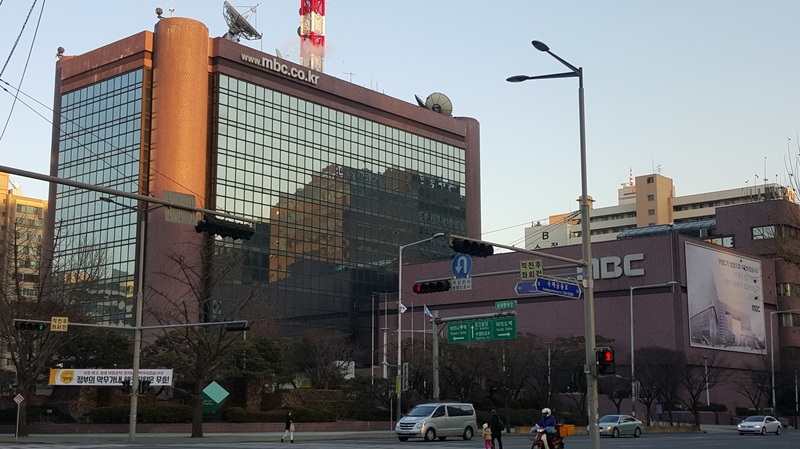 Unfortunately this was as close as I could get to MBC’s building – it’s less of an open concept compared to KBS. But you can still see the entrance which has been filmed many times in Infinite Challenge as you pass by!